Heat a large skillet over medium heat. Place 2 slices of bread in skillet and heat until toasty. Remove and set aside. Place remaining 2 slices of bread in skillet and top each with 2 ounces of Brie. Heat turkey in microwave until warm. Remove bread slices from skillet once Brie is melted and bread is toasted. 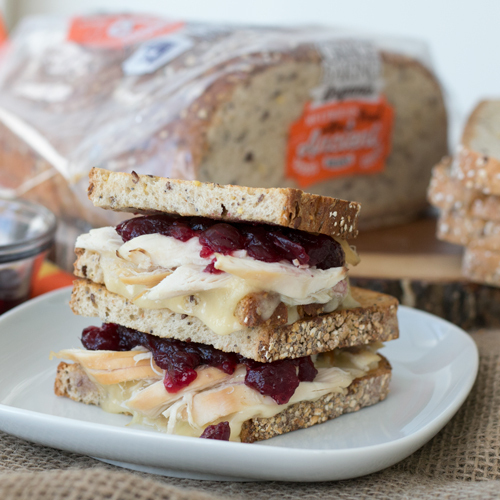 Top with warm turkey, cranberry sauce and remaining toast slices.